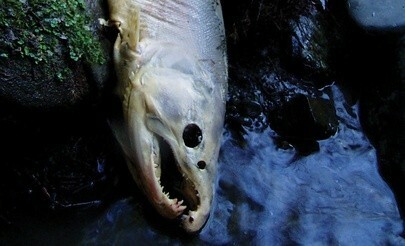 A coho salmon carcass observed during a spawner survey, in which dead adult fish and salmon nests, or redds, are assessed. A U.S. District Court judge has sided with those trying to protect coho salmon in the Klamath River, ruling yesterday that the U.S. Bureau of Reclamation and the National Marine Fisheries Service must release more water from the Klamath dams. The release of the water is intended to mitigate the death of coho from a parasite,Ceratanova shasta, which causes cell decay in intestinal tissue, severe inflammation and death. Large percentages of the endangered species died from infection in 2014 and 2015, a phenomenon fisheries experts have blamed on low river flows and warm water, where the parasite thrives. Judge William H. Orrick ruled that the Bureau had mismanaged the river, causing "irreparable" harm to the salmon. The Hoopa and Yurok tribes filed two different suits in 2016 alleging that the government had failed to adhere to the Endangered Species Act as it did not commit to mitigation measures when it became clear that low flows and warm water were causing immense salmon die-offs, impacting the long-term health of the species and the ability of the tribes to continue traditional fisheries practices. The court has ordered the Bureau to release "flushing flows" of water in the winter and early spring that should flush out C. shasta worms. Additional mitigation measures will also be taken. The legal decision is being hailed as an important first step as tribes and other groups work to remove the remaining dams on the Klamath. Reached by phone this morning, Konrad Fisher of the Klamath Riverkeeper said his group was pleased with the judge's decision, but more work remained. "This litigation was specifically about disease management, ultimately we need to not only manage disease but restore populations," he said. 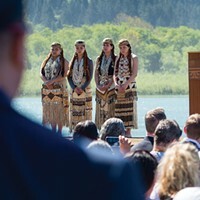 In a press release, Thomas P. O'Rourke Sr., chairman of the Yuroke tribe, said that the ruling will give the salmon a "fighting chance until we can get the lower four dams out." 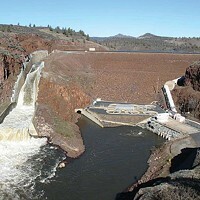 Louis Moore, of the Bureau of Reclamation's Sacramento office, stated that the agency was reviewing the court decision to "assess what it really means," adding that the the Bureau "always complies with the law." 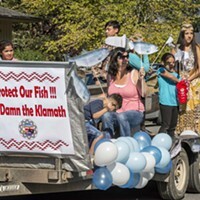 SAN FRANCISCO—Today, a U.S. District Court judge ordered federal agencies to immediately take steps to protect juvenile coho salmon after several years of deadly disease outbreaks in the Klamath River. 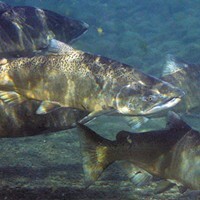 Klamath River coho salmon are listed as threatened species under the federal Endangered Species Act. These fish are central to the cultural identity and survival of tribal nations along the river, and commercial fishermen rely on California’s second largest salmon producer for their livelihoods. 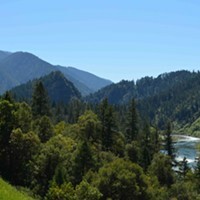 The Yurok Tribe, Pacific Coast Federation of Fishermen’s Associations (PCFFA), Institute for Fisheries Resources, Klamath Riverkeeper, and the Hoopa Valley Tribe sought a court order to compel federal agencies to manage river flows to protect juvenile coho salmon. Mismanagement of Klamath River flows below four major dams led to an outbreak of disease from a parasite called C. shasta in more than 90 percent of sampled juvenile salmon in 2015 and nearly that many in 2014. During the course of the case, the Bureau of Reclamation and National Marine Fisheries Service acknowledged their obligation to engage in consultation to develop mitigation measures to prevent future disease outbreaks. (1)	Release sufficient water in the next few months to flush out organisms from the Klamath river bed that host an intestinal parasite known as C. shasta, which causes illness and death in salmon. Such flushing flows, which used to be commonplace in the Klamath River, have become rare over the past 16 years due to overly restrictive management. (2)	Reserve water to provide flows in the spring/early-summer to further flush out C. shasta if a disease outbreak occurs. (3) Have their technical experts submit to the court the parameters of these mitigation measures by March 9, 2017. “Today’s ruling will give the Klamath salmon a fighting chance until we can get the lower four dams out. Untold numbers of juvenile salmon died from this disease in 2014, 2015, and 2016, and this judgment will help us to protect fish stocks from another serious outbreak. The Court recognized that scientifically supported decisions in favor of fish are not only legally required, but that the tribes should have a primary role in working with the government in reaching those decisions,” said Thomas P. O’Rourke Sr, Chairman of the Yurok Tribe.